This is a sponsored collaboration with Fish is the Dish. Yesterday, I committed to a month without chocolate. You guys know how much of a big deal this is, given my self-confessed addiction to the stuff, but I’ve been feeling healthier lately and so I want to try to avoid chocolate – and sweets – for 40 days and 40 nights (does this make it Lent?) in a bid to boost my health that little bit further. 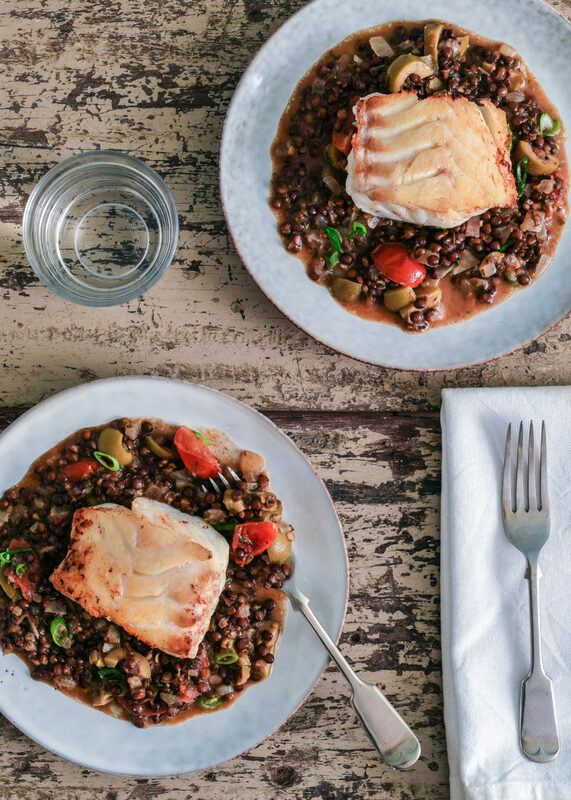 If you’re a regular reader, you’ll know I’ve been trying to eat more fish as part of my partnership with Fish is the Dish. The collaboration came along naturally as I’ve always wanted to eat more fish, and this project has enabled me to try harder to work it into my diet – I’ve been having haddock fishcakes each week, as well as another portion of fish by way of salmon, tuna, cod or prawns (you can see my Thai green curry recipe in this post). If I’m out for dinner I’ll generally choose fish (or a burger!) by way of seabass or monkfish, seafood, or even chowder at lunch, and I tend to choose salmon as a starter. At home, I’ll cook a curry, or we’ll eat plain (or breaded) fish with vegetables, fishcakes with salad, or cod and chorizo. What’s great about living in Scotland (especially so near to Arbroath!) is that we have such a wide range of fish on offer, which makes cooking a lot more interesting. In addition to the two portions of fish a week, I’ve been trying to include more fibre after my telephone consultation with nutritionist Juliette Kellow; she advised me to introduce wholemeal breads, pasta and rice into my diet (wholemeal bread has been great, but rice no – I’m sorry, but I’m a basmati lover). I’ve reduced my intake of bread as a whole, but when I do have it (perhaps a slice a day) I have wholemeal or seeded. I’ve also been eating more pulses – so lentils in my veggie soups, more bean salads, etc – and I’ve limited my alcohol intake to a few glasses of wine a month. I’m still drinking plenty of water (and coffee) but I’m also having green juices or smoothies in the morning, and kefir. As a result, I’m definitely feeling less bloated – so much less bloated – and, aside from the odd wake-up call at 3am for the baby, I feel much less tired too. It feels as though my brain is more engaged, as well as my body (I’ve been running two or three times a week and walking almost every lunchtime/evening), and even though I had a nasty case of tonsillitis the other week I’m already feeling back on form. I don’t think it’s a coincidence that I’ve had a better diet, especially because fish has been proven to have so many health benefits such as helping boost brain power (I’m definitely not feeling that 3pm afternoon slump as badly), encouraging a healthy heart thanks to the Omega 3 fats, and even contributing towards better skin, hair and nails (though I think there are other factors helping in this too). It also aids sport and exercise – why do I want to counteract all of this by eating a Cadbury’s Twirl every night? I’d love it if you’d like to join me on this month long journey with more fish and less chocolate. Honestly, it’s been pretty easy so far… though the lack of chocolate might be a struggle. 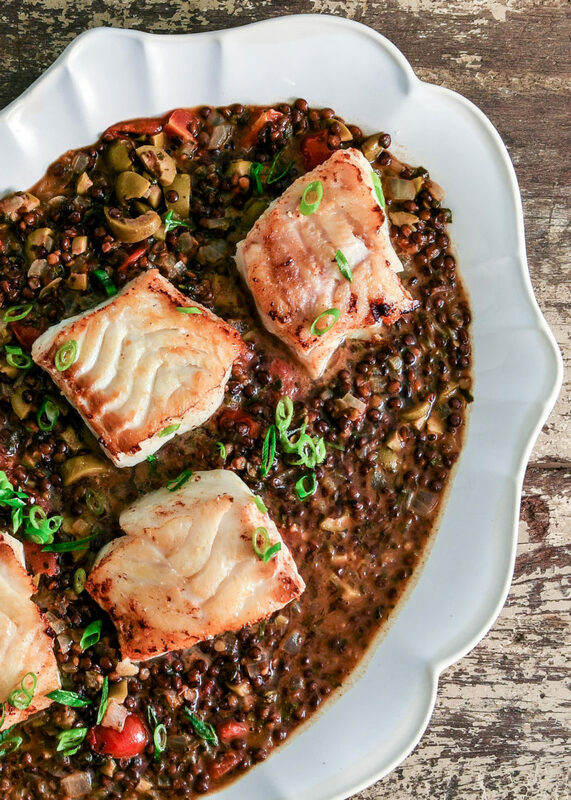 This cod and green lentils recipe is definitely next on my list! 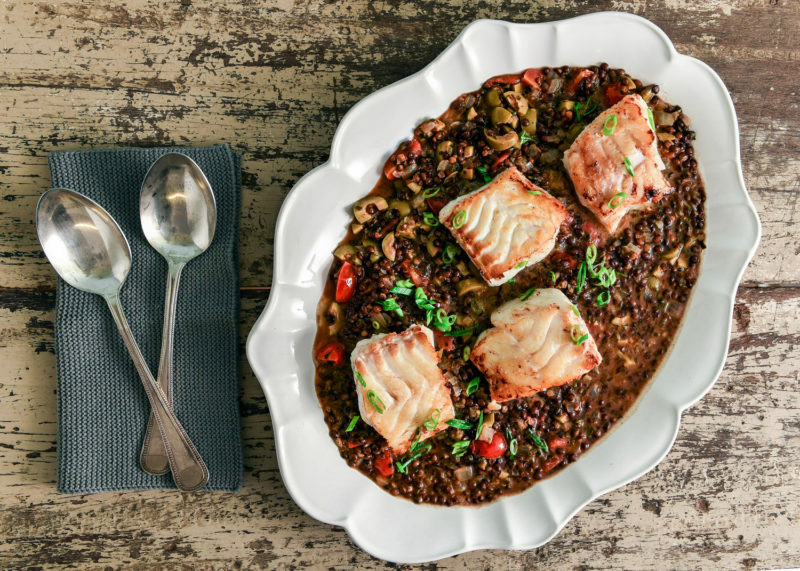 Images: Fish is the Dish.